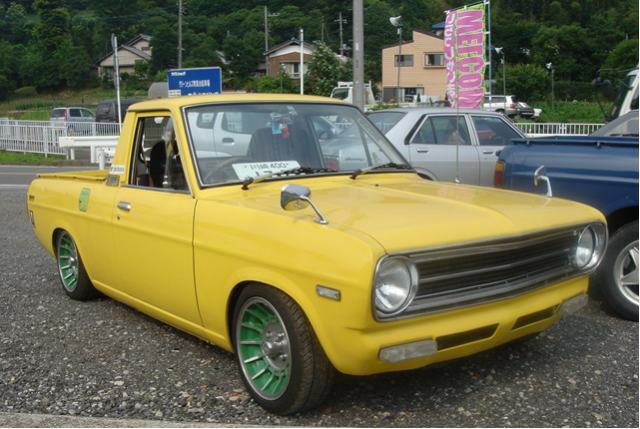 Aoba Auto--'The Sunny Truck Shop'--in Yokohamaᵂ specializes in Datsun 1200 trucks. They also sell cool accessories and parts. 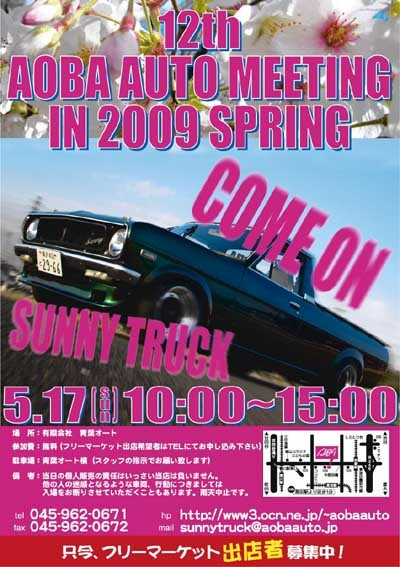 And from time to time they have the Aoba Auto Sunny-Truck Meeting. POST quote: I just have to say that Aoba Auto is one of the coolest places. It is a small place, but the staff is friendly (Matsuo and Yuki), they had a dozen or so Sunny Trucks for sale, also a B310, had the advertised Sunny parts in stock (even a new 5-speed!) and it is right by the train station. Aoba Auto is in Yokohama, so it take a few hours to go out there by train. There are some places in Tokyo that occasionally have B122 (newer Sunny Trucks), but as far as is known only Aoba specializes in them. 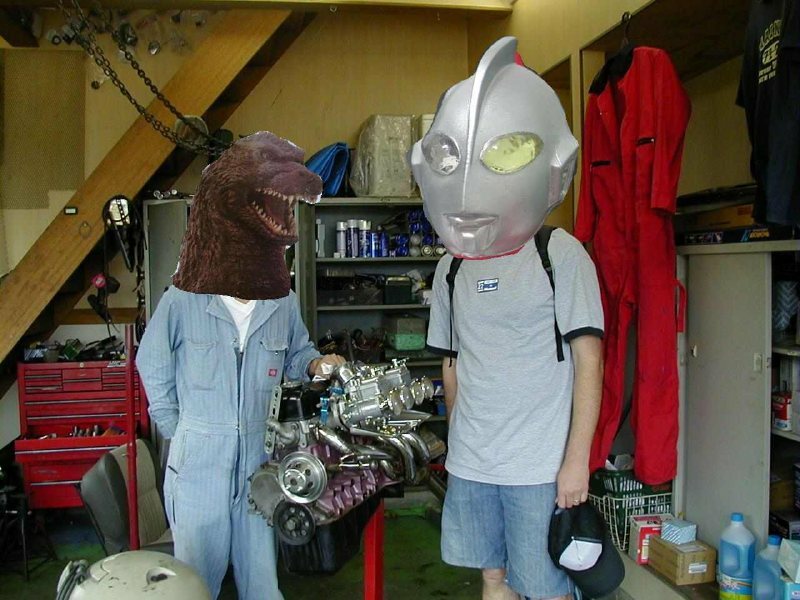 The owner Matsuo and mechanic Yuki are both friendly. Yuki speaks a fair bit of English. The trucks are all nice varying from original to modified. They had a NISMO 10,000 rpm Sunny speedometer but of course it was not for sale (it was different from the Datsun Competition 10k model). Sunny Truck Shop is a must see if you've never seen B120/B122 utes. If you want to buy a part or a truck contact them by email. Aoba Auto is willing to ship overseas, ask for Yuki. Send them an email and let us know how it works out. This page has been accessed 8,282 times. This page was last modified 07:18, 18 July 2018. Content is available under Datsun 1200 Club.